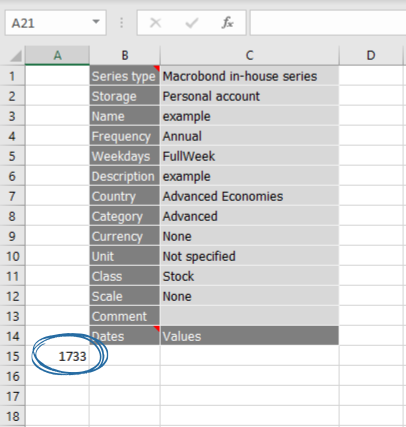 Macrobond supports the time series with dates starting before 1900, while Excel, unfortunately, does not. Macrobond Add-in automatically recognizes dates which are entered as text strings. 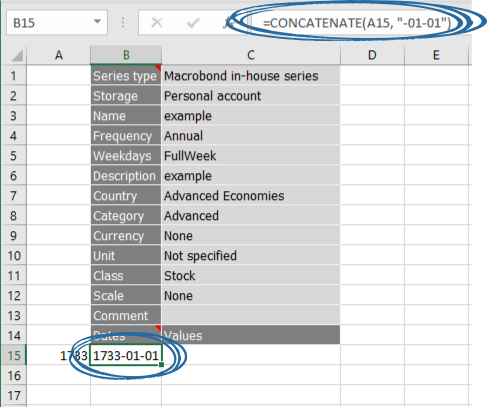 To construct them use the =CONCATENATE formula in Excel. Set aside one column, and type in the start date’s year. Type in the CONCATENATE formula. Compose the date according to your regional settings, i.e. Paste in the values in the next column. The rest of the dates will be filled in according to template’s frequency.